Carr & Day & Martin Lavender Liniment is a dual puropse that's ideal for use on swellings and tight muscles. This liniment is perfect for sponging down with after exercise to calm and soothe the muscles whilst also cooling the horse down. This Carr & Day & Martin Liniment has both heating and cooling effects as required due to the high levels of menthol and contains no banned subsances. Carr & Day & Martin Liniment contains arnica to reduce inflamation, combined with Witch Hazel to reduce bruising. 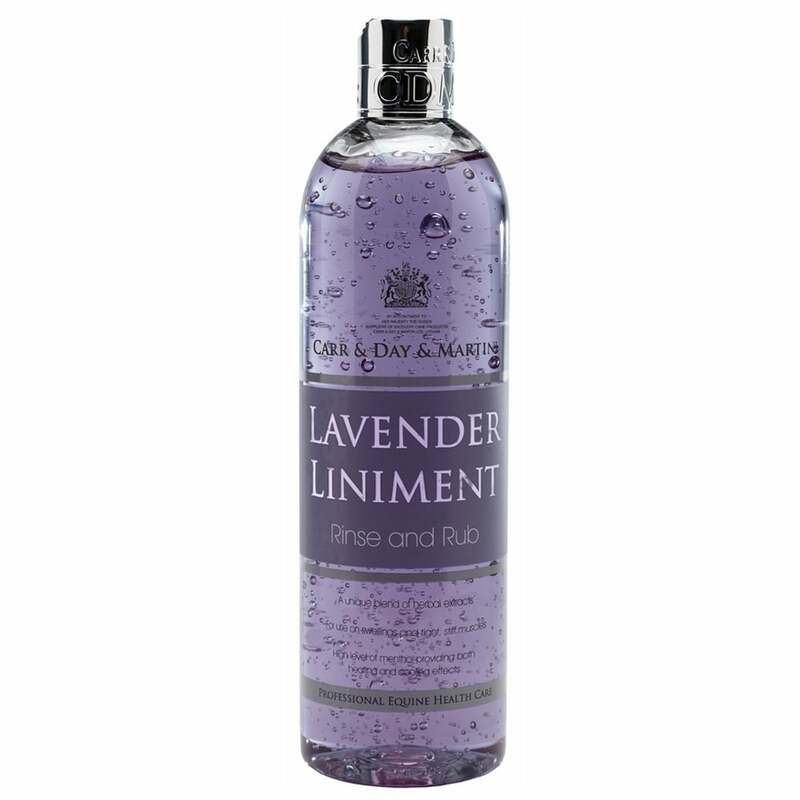 This Liniment also contains rosemary and lavendar to boost circulation and aid quicker recovery after exercise. Carr & Day & Martin Liniment can be used neat to soothe swollen and stiff muscles and can also be used diluted in warm or cold water for use as a soothing rinse. To use this liniment as a brace apply the liniment and bandage loosely.